Fact: Few things in life are better than a bath—or a hotel bathroom, for that matter. And at these stunning properties all over the world, you can partake in this relaxing pastime like a royal. Between the over-the-top designs, alfresco settings, outrageous views and bespoke bath salts and amenities, there’s something for everyone who favors a little R&R. C’est la vie at Villa Marie, in St. Barths. Set at the height of the property, Villa Flamands boasts a private ten-meter swimming pool, two double bedrooms with king beds and this outside shower and bath. Chic would be an understatement. The Baccarat is dripping with decadence (and crystal chandeliers), but the Baccarat Suite has to be one of the most splashy presidentials we’ve ever seen, and it all starts with the bathroom. White marble covers every surface—except for that major freestanding tub—and to keep things extra bougie, there are La Mer skincare products, amenities by Maison Francis Kurkdjian Paris and plush Italian robes to cozy up in, post-soak. You’re going to want to put up that “Do Not Disturb” sign for this one. Although a rock tub this impressive looks like it belongs in a spa, it’s actually part of the casa accommodations at luxury eco-resort Imanta. Should you choose to actually leave your quarters, however, there’s the Jungle Spa that specializes in Aztec and pre-Hispanic healing methods. We could get used to a situation like this. Twin Farms' Aviary Cottage is one of the most romantic rooms on the property, and it’s easy to see why from this bathroom alone: The sunken hot tub, field stone fireplace and floor-to-ceiling windows that look out over the Vermont woodlands are giving us serious #travelgoals. Behold a sight for sore eyes (and tired limbs): the Vik Vessel in the VIK Master Suite. A one-of-a-kind bathtub suspended in midair, the vessel is unrivaled in its design and positioned right in front of the serene Millahue Valley landscape. And although there’s plenty to see and do at this avant-garde retreat and wine-spa (think horseback riding, wine tasting, hiking and picnicking in the hills), you may never want to leave your bathroom. Take the plunge in Bungalow One. Envisioned as a mid-century pad with a laid-back Cali feel, the master bedroom connects to the open mosaic-walled wet room (which, BTW, is enclosed by switch-activated, dimmable privacy glass) and the pièce de résistance at the center—the Lacava tub. Bubbles with a view is what’s on the menu at Sumaq Machu Picchu Hotel. The Imperial Suite’s Jacuzzi tub has prime placement panoramic windows, which means you’ll be greeted by the picturesque image of the mountains of Machu Picchu and the Vilcanota River each and every day you stay. The charming Weekapaug Inn offers a nostalgic New England-style bucolic setting for a coastal retreat. The three Fenway Suites feature a furnished deck and deep soaking tub, from where you can spy Quonochontaug Pond. Basically, this is where you want to sip wine, read a book and forget to charge your phone for the weekend. It’s quite possible you might wind up quitting your job and taking up residence in the Seychelles after visiting this tropical paradise—why would ever want to go home after having this indoor/outdoor bathroom setup with a whirlpool tub at your fingertips? Did we mention it looks out over your other private infinity pool? No big deal. 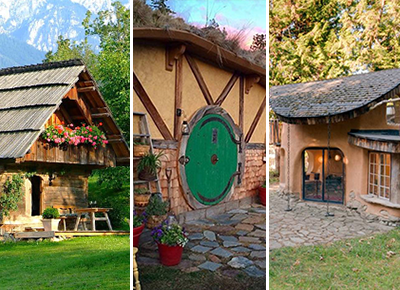 Talk about living your best life… Snap a photo of these digs and watch the comments pour in. Oheka’s Whitney Room (and bathroom) would even make Marie Antoinette envious. Another fun fact? Taylor Swift shot her “Blank Space” video on location here. If it’s good enough for Tay, well, you get the idea. From now on, we decree that all tubs should be positioned in front of French doors and rolling vineyards! Thank you, Abadia Retuerta LeDomaine. You’ve ruined basic bathtubs for all of us because of this Philippe Starck beauty. When you want to do the desert right, head to Mountain Shadows. Inspired by 1950s glam, this upscale resort is outfitted with soaking tubs in each of its Immerse Premium Guestrooms. Just think: You can sip coffee while admiring Camelback Mountain from this very spot. If this scene doesn’t make you want to disrobe and grab bae for a bath pour deux, we don’t know what will. Jumby Bay Island’s Estate Suite has a private master bedroom with a secluded outdoor garden, deep pedestal tub and dreamy rain shower that were totally made for couples’ time. One more reason to check in? For the James Heeley bath amenities, private butler pantry and crazy thread count linens. “Regal to the max” is how we would describe the loo in Suite 17 at The Ivy. As Baltimore’s premier boutique hotel, the first Relais & Châteaux property in Maryland, and the world’s only highly-inclusive urban luxury hotel, it’s already won us over, but the 19th-century mansion-turned-hotel offers even more: heated floors, floor-to-ceiling mirrors and soaking tub made for suds-ing. We would travel all the way to Lake Como just to dip one pinky toe in. And as one of the oldest luxury hotels in George Clooney’s beloved neck of the Italian woods, the five-star Grand Hotel Tremezzo is pretty remarkable, even for Lake Como. The Suite Emilia (housed inside Villa Emilia) is as well—for this bathroom and tub alone. At Caldera House—a new eight-suite luxury hotel and alpine club situated in the heart of Teton Village in Jackson Hole—a highlight is the Pibamarmi Japanese-style soaking tub in the master bathroom of the Pacana Suite. It’s exactly where you want to end up after a long day on the slopes.